Energy storage is set to play a crucial role in the structure of Australia’s future electricity grid. The best-known form of energy storage is batteries. Typically, batteries are used to soak up excess energy to be used later in offsetting supply from centralised generation, at a time when energy is more expensive. For example, you may not need the energy generated by your rooftop solar panels in the middle of the day, so a battery saves that energy for later in the evening instead of drawing from the grid. A lesser-known role for batteries is delivering power back to the grid – what we call ‘grid services’. 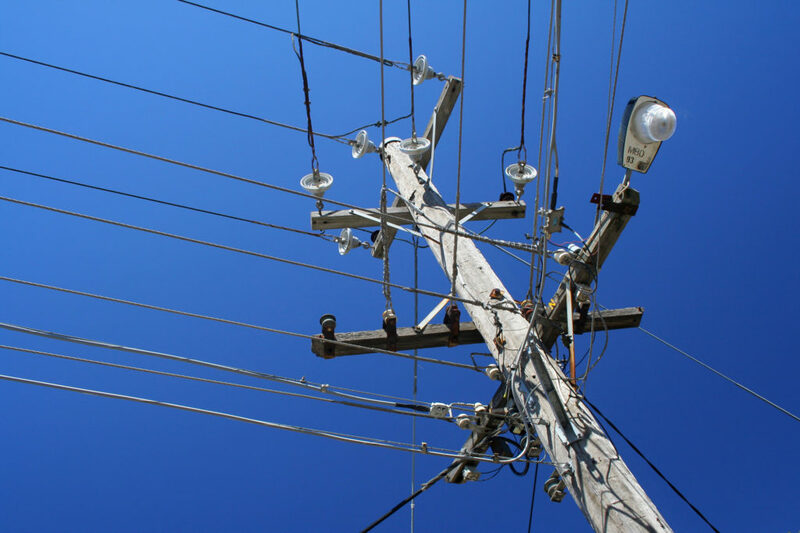 These grid services can provide improved power quality, stability and reliability. Ramp it down with batteries. Batteries can help minimise the effects of ‘ramping events’, which are large and sudden changes in load and energy generation. This can happen when the sun plays ‘peak-a-boo’ with the clouds and solar energy drops in and out; or the more predictable change that occurs when solar production drops at night. These ramping events can have unwanted effects on voltage and frequency, but batteries can help to make sure these changes are more gradual, which makes it easier to maintain power quality. Batteries can also provide energy when demand is expected to peak. During periods of high energy demand (like the middle of summer when air conditioners are running 24/7), the likelihood of that demand exceeding the capability of the network increases. By providing energy close to the expected demand (potentially by discharging batteries), the strain on the electricity network can be reduced – a process known as ‘peak shaving’. This can reduce the costs to maintain the electricity network, as well as our household electricity bills. Maintaining power quality is important because it allows us to connect almost anything, anytime, without a worry – a mobile phone, a fridge, a TV, even an electric car – as long as it complies with Australian standard voltage and frequency specs. While renewable energy is cheap and good for the planet, its natural variability makes it harder for our legacy power grids to keep power quality without new support systems. Batteries can very effectively provide such support. By either injecting or absorbing energy at the right times, batteries can maintain power quality, even in grids with large amounts of variable renewable energy supply. In the future, a battery owner could help directly regulate voltage and frequency – that is, provide ‘grid services’ (for an adequate price, of course). As part of our Virtual Power Station trial in Yarrabilba, South East Queensland, we’re testing how to control batteries to manage power quality. With the cooperation of our Yarrabilba volunteers, we’ve installed five batteries to everyday households. So far we’ve successfully tested their operation, and in the coming weeks we’ll demonstrate that these batteries are capable of mitigating ramping events. With the help of solar forecasting we will regulate solar power in anticipation of a drop in solar energy and simultaneously direct the batteries to discharge stored energy. This helps avoid a large swing in power flow and maintain consistent power quality. If many house holds supply grid using batteries the power factor of the whole grid will improve with big advantages. But power could be centrally produced and stored using other methods such as hydrogen. Related research is being conducted already, even in CSIRO. trees shade our solar panels so reduce efficiency, why not make installers remove such obstacles before hand. I’m quite interested in the battery development aspect. Currently Lithium Ion (Li-ion) batteries are still prohibitively expensive, as are the solar panels. CSIRO recently provided examples of Solar technologies using “Solar Paint”, is this likely to be pushed out to consumers soon? My real concern is the cost of battery solutions, – I read that salt batteries are likely to replace the Li-ion batteries. Again, I am very keen to understand the time-frames of when these would be commercially viable. I love the idea of grid computing and grid power, it all makes such good sense, but it really does need to be so easy for people to do or… they won’t. Look at SETI as a good example, why is this not installed on all computers by default?